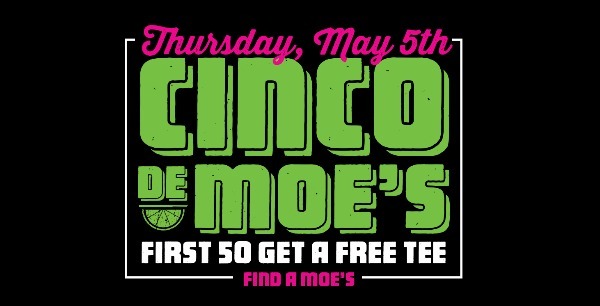 On Thursday May 5th, we’re celebrating Cinco de Moe’s with free T-shirts for the first 50 people in line AND some locations will have $5 burritos and bowls all day long. Because when life gives us limes, we share the love. great article at at this particular place.